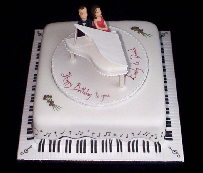 Make your day one to remember, with my custom designed cakes for all occasions. 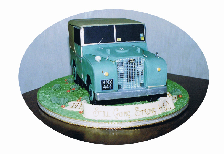 Celebrate with a cake, any size, style, colour or character, all personalized to meet your requirements. Sugar Delights is a small business run by myself, Angela Slater. I have many years experience of the cake decorating trade, with skills passed down from Audrey Slater. Designs are baked in sponge with jam and cream fillings, finished in soft icing. Cakes can also be made in rich fruit cake, chocolate cake, lemon cake and carrot cake. individual, please contact me for a quote. 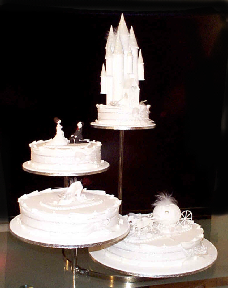 Sponge novelty cakes start from £45, with wedding cakes starting at £180.00.